Ahead of a NieR orchestra event this week in Japan, Square Enix unveiled a line of new figures from both NieR and NieR: Automata. Part of the company’s Bring Arts brand, these figures features several points of articulation, accessories, and alternate parts such as hands and faces. From the first game, known in Japan as NieR RepliCant or NieR Gestalt depending on which platform you play the game on, is represented by Kaine and the RepliCant version of protagonist NieR. Representing Nier: Automata, the more recent and popular sequel, are Adam and Eve, Popola and Devola, a 2.0 version of 2B, A2, and 9S. There’s also a Bring Arts weapon collection, and a full-scale 2B figure made by Flare. None of these figures have release dates or prices, with the exception of the A2 and 9S figures. These two are set to come out in 2019, with 9S priced at 6,800 yen and A2 costing 7,670 yen putting them at around $60 and $70 respectively. 9S will launch on April 20, and A2 on May 18. 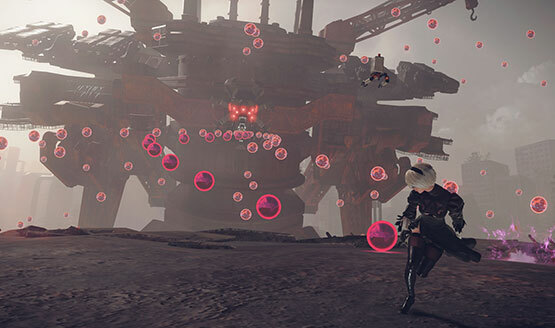 In North America, the RepliCant version of NieR may not be familiar, as only the Gestalt version, which features a more western-looking character design, was localized. Only one version of NieR: Automata was made, but if you want more out of that universe, Viz will be publishing a couple of novels based on the game, starting next month.